One key measure of a company’s financial performance is its cash flow. In simple terms, this is simply a measure of how much money a company has at the end of the year compared to the beginning. Estimating future cash flow can offer insight into whether a company is worth investing in based on its current share price. The discounted cash flow model is one common way to value an entire company, and, by extension, its shares of stock. It is considered an “absolute value” model, meaning that it uses objective financial data to evaluate a company, instead of comparisons to other firms. The discounted dividend model is another absolute value model that is widely accepted, but not appropriate for certain companies. CF1 - The expected cash flow in year one. CF2 - The expected cash flow in year two. TCF - The “terminal cash flow,” or expected cash flow overall. This is usually an estimate, as calculating anything beyond five years or so is guesswork. k - The discount rate, also known as the required rate of return. n - The number of years included in the model. There is a simpler way of examining this, however. We noted above that the terminal value will be three times that of the value in the fifth year. So that comes to $2.265 million. Add all these figures, and you come to $6.41 million. Based on this analysis, that's the value of Dinosaurs Unlimited. But what if Dinosaurs Unlimited were a publicly traded company? We could determine whether its share price was fair, too expensive, or a potential bargain. Let’s assume that Dinosaurs Unlimited is trading at $10 per share, and there are 500,000 shares outstanding. That represents a market capitalization of $5 million. Thus, a $10 share price is on the low side. If you are an investor, you might be willing to pay nearly $13 per share, based on the value stemming from the DCF. Accounting scandals in recent years have placed new importance on cash flow as a metric for determining proper valuations. Cash flow is generally harder to manipulate in earnings reports than profits and revenue. Cash flow, however, can be misleading in some instances. If a company sells a lot of its assets, for example, it may have positive cash flow but may actually be worth less without those assets. It’s also important to note whether a company is sitting on piles of cash or reinvesting back into the company. 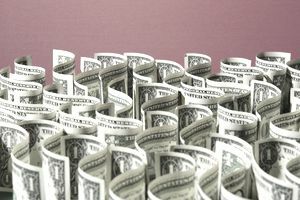 Like other models, discounted cash flow model is only as good as the information entered, and that can be a problem if accurate cash flow figures aren’t available. It’s also more difficult to calculate than some metrics, such as those that simply divide the share price by earnings. But if you are willing to do the work, it can be a good way of determining whether a company is worth investing in.